Here the team at Stable Shield provide ten top tips for a through spring clean over the coming months. 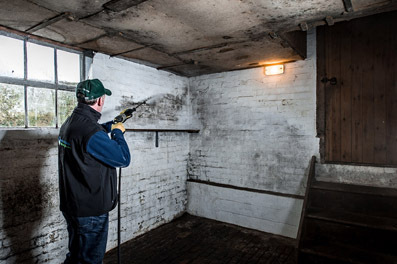 Taking your time to thoroughly clean your stables and yard will ensure a bacteria-free zone really pays off. It is very important to take every possible precaution against the spread of bugs and bacteria as a clean environment assists with your horse’s respiratory system and overall wellbeing. 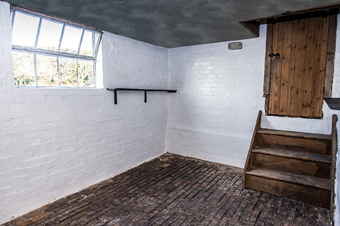 With spring just around the corner, the nights getting lighter and the warmer weather on its way, it is time to dust off the cobwebs and get your yard and stables prepared for the summer season. The perfect time to give your yard a thorough spring clean and prepare everything for the coming months. 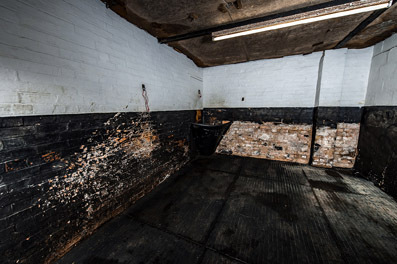 • Your stable or any area in which your horse or pony lives in is a good place to start, firstly remove all bedding, buckets and anything else on the surface of the floor. • Once everything is removed, lift and remove all rubber matting from the floor, not forgetting which pieces go where for when you come to put them back. Wash the mats thoroughly using a stiff brush, water and disinfectant to kill off any unwanted bacteria. Do this on the front and back making sure all bits of debris are removed. Then do the same for the floor and also the walls and doors. A pressure washer is ideal for lifting dirt and grime and gives a powerful water supply to give a visibly fresh finish. Give the mats and surfaces time to fully dry and the room to air out before replacing any rubber matting. 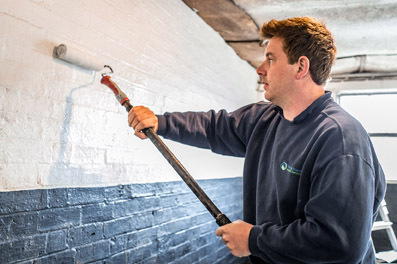 • Whilst the mats are out of the stable now is the perfect time to give your stable a face lift with a fresh lick of paint. 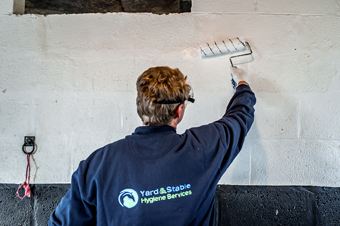 Stable Shield antibacterial paint will not only visibly make your stables look renewed it will protect against the growth and spread of harmful bacteria by up to 99.8%. • Next move on to any store, feed or tack rooms, get rid of any broken equipment that can’t be repaired as it will only take up room and collect dust. Thoroughly clean inside removing anything from the floor, sweeping, power washing and removing any cobwebs, not forgetting the ceiling area. • Once everything is cleaned and dried, apply the same process of painting store rooms as the extra barrier of paint includes a proprietary formulation that creates a dry film to help keep you and the animals better protected from the spread of disease. Stable Shield is committed to improving the biosecurity for your horse. Biosecurity is a simple routine of preventative measures to help protect against bacteria, infections and diseases. • Paint the outside of your stables, Stable Shield has a clear anti-bacterial paint plus product that is perfect for the job. Stable Shield PLUS – CLEAR is a water-based non-toxic paint that can be applied to stables to create another barrier to infection in your yard. Stable Shield PLUS is designed to tackle damp and extreme conditions, including those with existing mould problems. • This is a good time to go through your tack and rugs and have a thorough clean out. Get rid of any broken, unfixable items. Start by organising all your winter rugs and clean them ready for use next winter, bag them up and store them away. Take out all your lighter rugs and ensure they are all in good working order and ready to use. Store these in an easy to get to spot, ready for the new season. • Now that all the hefty, time consuming jobs are sorted move on to cleaning all your equipment from mucking out utensils to grooming items, this will give you a fresh start to the new season. • Check if any buckets or feed bins need replacing or repairing. • If you have any plants or grass around the yard, take this opportunity to manicure any shrubbery and get rid of any weeds. It is a good idea to use spring cleaning as a time to get ready for the upcoming months ensuring you have feed, grooming tools, cleaning out tools as well as any water or feed buckets all in place. Spring cleaning your yard is a great way to kick off the season and is sure to make you and your horse feel better!